I made with all of you." 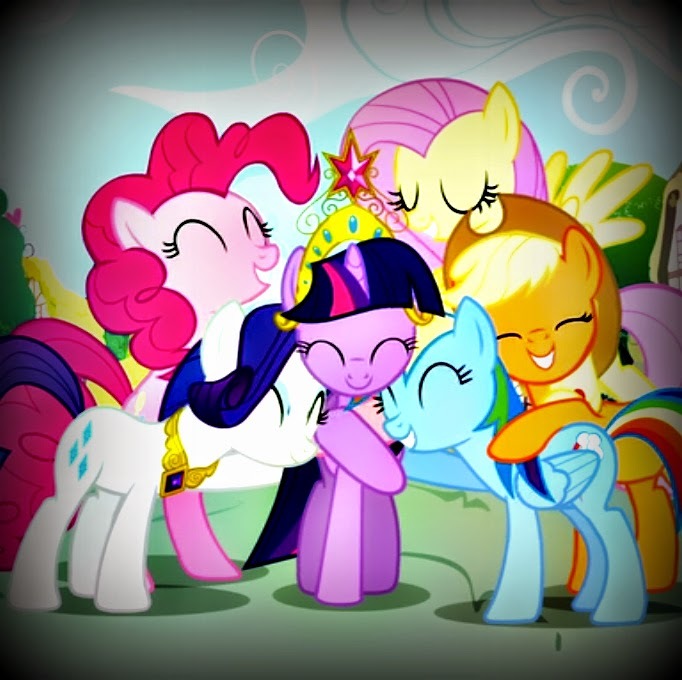 to the 13 episode Season Three of My Little Pony: Friendship is Magic. While I concentrate on the song "What My Cutie Mark is Telling Me,"
a broader examination of the finale is included in a note at the end. 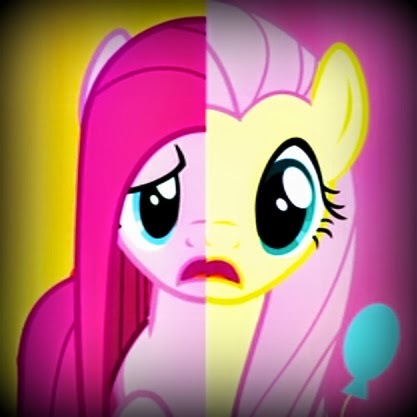 The second track of the season three finale, "What My Cutie Mark is Telling Me," introduces the problem which the narrative will attempt to resolve: what happens when your prescribed "destiny" contradicts your desires and talents? In Equestria, when a pony reaches maturity (around puberty) a cutie mark appears symbolically representing their special vocation. The arrival of the cutie mark usually culminates a long period of self-discovery. As such, for three seasons the show has more-or-less followed the premise that the assigned mark happily correlated with the orientations and abilities of the recipient. Following the introduction of a misunderstood spell by the show's protagonist, Twilight Sparkle, the cutie marks of her good friends get switched and suddenly each of them find out what happens when their naturally/magically determined vocation works against their ingrained characteristics. Each pony suffers undue hardship, ridicule, and a sense that they are failures, becoming effectively "disabled" by their social environment. Previously, I have connected the cutie marks arrival at puberty with the normative arrival of sexual and gender identity. Continuing this line of thought, being forced to perform a socially prescribed role contrary to one's desires and orientations fits fairly well with the show's general attention to tensions experienced by queer and transgender youth. Being pressured into a heterosexual relationship or to perform a cisgender identity scans fairly well with conflicts against "What My Cutie Mark is Telling Me." 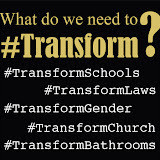 In this way, "destiny" or "cutie mark" could stand in for God, Nature, parents, the government or society in general. One could read further into several of the lines for a gender-sexuality conflict, such as when Pinky Pie (an otherwise hyper pansexual super-femme) sings, "I don't care for picking fruit and plowing fields ain't such a hoot. No matter how I try I can't fix this busted water shoot," while taking the role of the butch cowgirl lesbian Applejack. The penetrative metaphors of plowing, the aggressive sensuality of picking fruits, and the phallic imagery of a water shoot are signs of Applejack's female masculinity but in Pinkypie's hands they signal failed sexuality. What happens, however, when we take the occupational aspect of the plot as more than mere metaphor, an exploration of environmental disability begins to arise. The distinction between the descriptors able-bodied and disabled has many times raised the question: able (or not) to do what? Once this question is asked, we are on our way to a critical social model of disability. Immediately, the able to ___ becomes evidently circumstantial. A deaf person may be less able to hear (according to normative definitions and expectations) but may be able to see. In this way, there is no universally able-bodied or disabled persons. Disability is contingent on the demanded task. Disability is in the environment. This fact has been pushed further to observe that most of disability is invoked as an occupational matter. Rights, compensation, limits, access, and disability language in general become financially, legally, and socially stressed in and around concerns of the workplace. Able to ___ quickly becomes "Able to work" or disabled. In this way, when five of "the Mane Six" get their cutie marks mixed up so that each of them finds themselves set up as failures by the vocational environments and demands of a mark contrasting with their abilities and interests, the disability register becomes more evident. In turning the ponies into examples of disability, the episode overemphasizes their essential inability to perform a task beyond their traditional occupation. 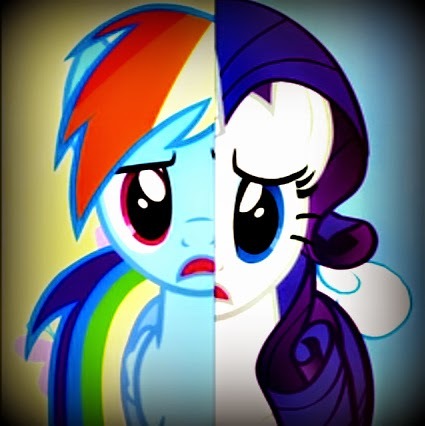 There is not a well established reason that Rainbow Dash cannot become skilled at taking care of animals when she receives Fluttershy's cutie mark, although her desires and talents point elsewhere. Indeed, it is different asking Rarity to fly like Rainbow Dash (she has no wings), than asking her to do Rainbow Dash's job of ordering the weather (which she finds a way to accomplish in her own way, using her unicorn magic). Because the show excludes a variety of physical disability narratives (e.g. blindness, deafness, needing assistive technology like a wheel-chair), this brief excursion into crip environment somewhat ignores differences in embodiment. Broadly speaking, most of the ponies are physically identical, excepting color and the significant presence or absence of horns and wings. The differences between a unicorn (with a horn), a pegasus (with wings), and a land-pony (without horn or wings), frames the whole world with each of the three types working distinct kinds of jobs (Only a pegasus can control the weather, for instance). Although there is no evident hierarchy between these three types, few try to move beyond their prescribed order. In fact, Rarity's ability to order the weather without the wings and cloud-hopping ability of a pegasus suggests that she is on her way of developing alternatives to an assumed natural order. In this way, forcing the ponies to return to their traditional occupation may ease their comfort but denies the narrative that challenges the way that environments and professions are structured to deny access across the social orders. While choosing to resolve the problem with a fairly conservative "Born this Way" argument, again showing a background in non-radical LGBT politics, the song "What My Cutie Mark is Telling Me" gestures to alternatives beyond the one the show inevitably follows. "Maybe they will learn to like their new lives," suggests Spike, Twilight's dragon assistant after the song. "No!" replies Twilight, "They are not who they are meant to be anymore" (Translation by JoshScorcher: "How dare they do something they don't normally do!"). In short, while the song evidently critiques the notion that one can be handed a profession from on high as a "destiny" without problems, the counter-argument the show offers is that it is merely not the right destiny. The concept of growth and change is elided for a return to the status quo. In the end, liberty (even progress) is denied in favor of conserving traditional limits and power structures. While the show explores the negative affects of being forced into a disabling professional environment, it misses an opportunity by solving the problem merely by moving the "right" person to the "right" job, ignoring the opportunity to change the way the job is structured to better facilitate their needs and abilities. Opportunities for increasingly accessibility to move across professions are suggested within the song itself when Applejack turns her disabling circumstance into a call for collective support. "Could y'all give me a hand here and help me fix this mess?" 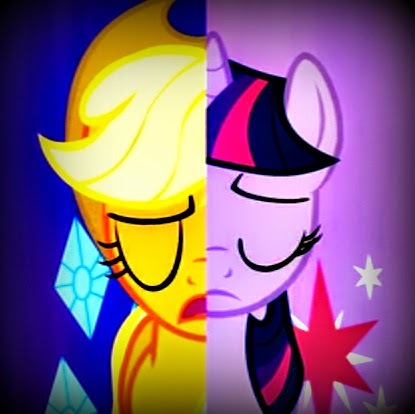 asks Applejack, "My destiny is not pretty but it's what my Cutie Mark is Telling Me." If the audience takes the shift in profession as authentic, for a moment, the bias of the shows solution to restore ponies to their proper "destiny" demonstrates not merely a preference for the traditional way things have been done an aesthetic rejection of the ugly, difficult, and socially revolutionary. Rather than support those asking for help, by improving their circumstances, Twilight locates the problem in the individual. Ironically, while the show's first two-thirds deals with fixing characters back into their traditional roles in society, the final third (which seems to come out of no where - see note) contradicts this message. By returning society to its idealized past and doing something no other pony can, Twilight Sparkle proves herself enough of a conservative and superior breed of creature that she is deemed fit for becoming a ruler of Equestria. In a sudden burst of magic, Twilight Sparkle is transported to a star-lit exterior where Princess Celestia tells her that her training has made her into the model princess, earning her the right to be transformed from a unicorn (with a horn) into an alicorn (with a horn and wings). By yoking her coronation with her transformation, the show upholds the idea that one's physical appearance determines one's social status while nonetheless admitting that in the case of "superiors" exceptions can be made. This is a fairly rote argument for royal monarchies: individuals stand above the law in order to administer the law to the common people. What if the special favor done for Twilight Sparkle was widened to include other ponies? Based on the revelation that Princess Celestia has been helping to prepare Twilight for her transformation since the very first episode, there is evident reason to believe that occupational and material change is possible if a person is given the right training, environment, and support. 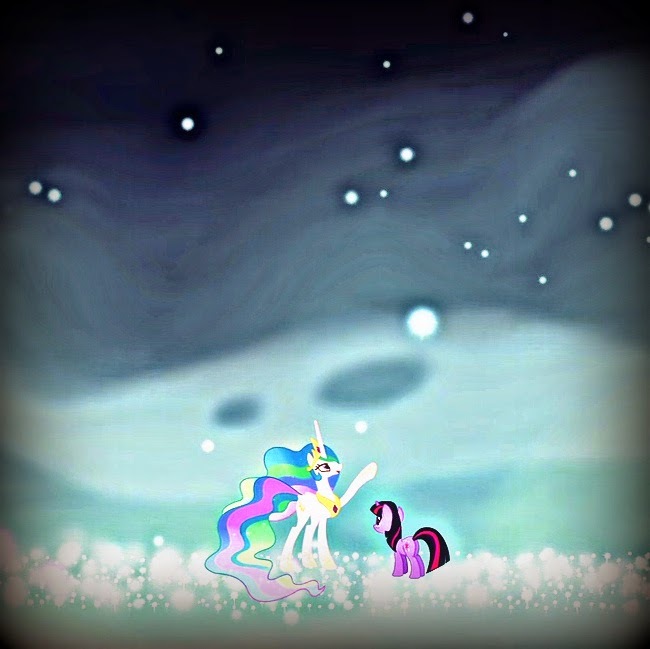 Looking back, we see Celestia picking out Twilight for (1) ongoing individual attention consisting of regular lessons and missions, (2) moving Twilight from the city of Canterlot to Ponyville where she will have more room to grow, and (3) helping facilitate a community to form around Twilight to support her in her development. Here we find a good formula for social change, liberating persons from occupational and environmental disability. By limiting the access to these structural supports to an arbitrary few goes further to substantialize ableism, however, given that disability is not located in individuals but in systems. The able-bodied are socially designated as "able" because they have access to the mechanisms by power which gives them liberties which are denied to those to considered "disabled." Environments are not a phenomenon of "destiny," but social phenomenon where decisions are made to profit some at the expense of others. Twilight's ascension into the privileged class is an opportunity for her and the story to explore more of the social causes and repercussions of a hierarchal system where "destiny" and "cutie marks" are used as tools of control. The plot arcs of Season Three of My Little Pony: Friendship is Magic was cut in half, consisting of a 13 episode order instead of the 26 that make up prior and later years. Surprisingly, the change was made because the show had become too successful for its own good. Reports suggest that the first two seasons had increased the sales of MLP merchandise to a peak that a full 26 episode order would not increase and a half-order would not likely diminish. Commentators have applauded this move by Hasbro as a "good business decision" while admitting that it comes at the expense of fans of the show who may complain that their loyalty is now being taken for granted. In any case, the shortened order seems to affect the story development in a few places in season three, most notably in the finale. 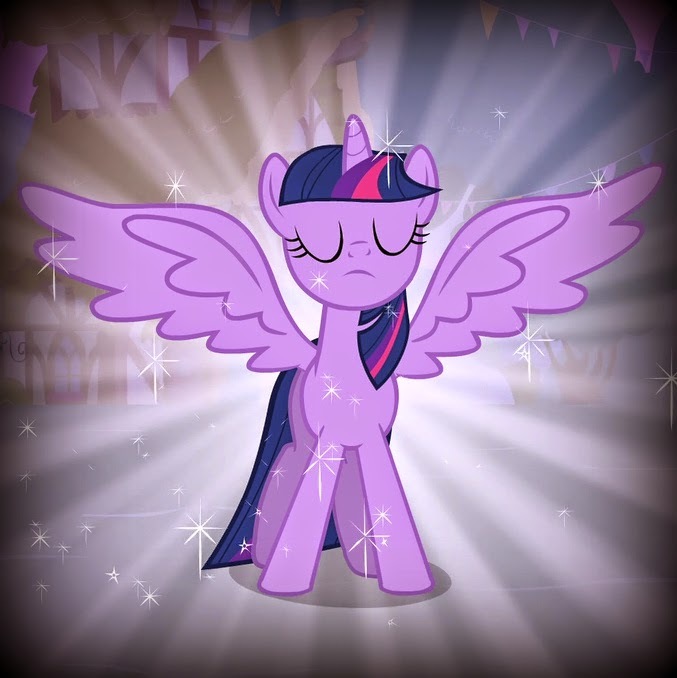 In a move that one reviewer described both as earned and a clear move to sell a new line of toys, half of the season finale focuses on the sudden transformation of Twilight from a unicorn into an "alicorn" (a unicorn with wings - a distinction in the MLP world reserved only for the rulers) at which point she is declared a princess. How is the change both "earned" and "sudden?" As JoshScorcher notes, this development was clearly a point that the series had been working towards from the beginning when Twilight Sparkle is given a special training mission by Princess Celestia aimed at developing her leadership skills. Within the arc of the season and episode, however, the shift feels forced. The magical change and her sudden coronation are given little to no explanation either before or after. 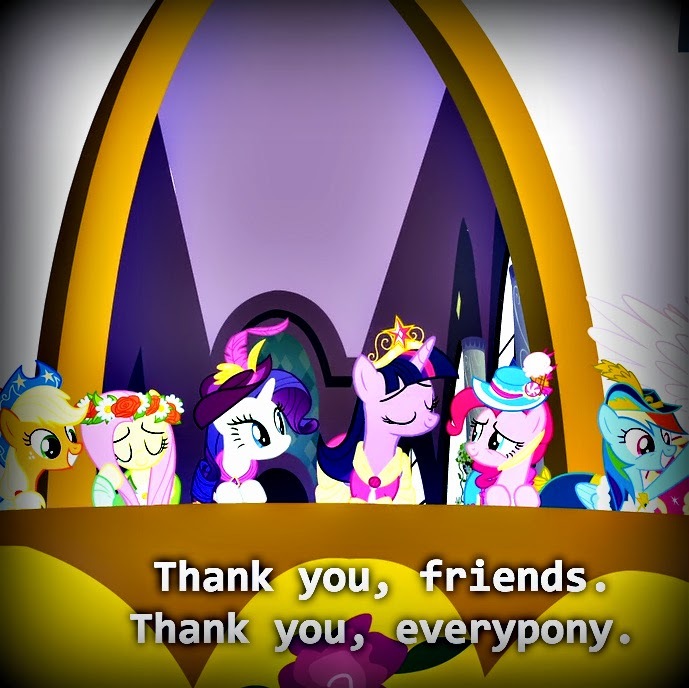 In fact, the show runners have admitted following the two-part premier of Season Four entitled "Princess Twilight Sparkle" that the tag at the end of Season Three was effectively part 1 of a 3 part arc. Putting the transformation in season 3 instead of season four was likely aimed as a pay-off for the loyal fans (who were being short-changed by 13 episodes) and to leave off on a cliff-hanger. Whatever the reason, the effect of the sudden shift at the end of the episode is that it rings disharmony with the message of the overall story.